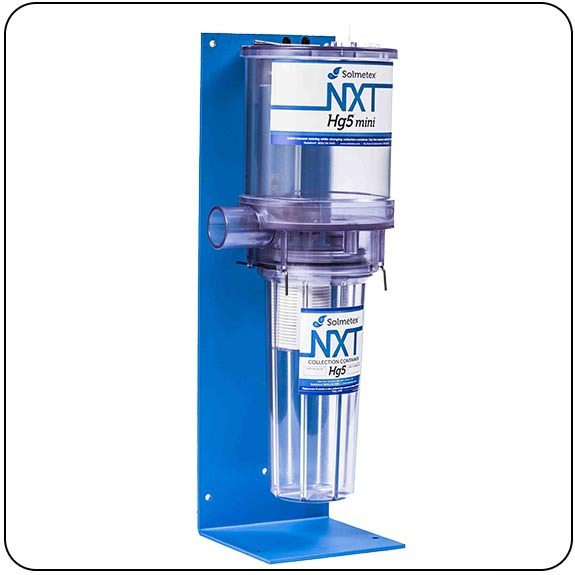 Amalgam Separators - Mail Your Sharps, Inc.
Three different sized systems to accommodate various sized practices. 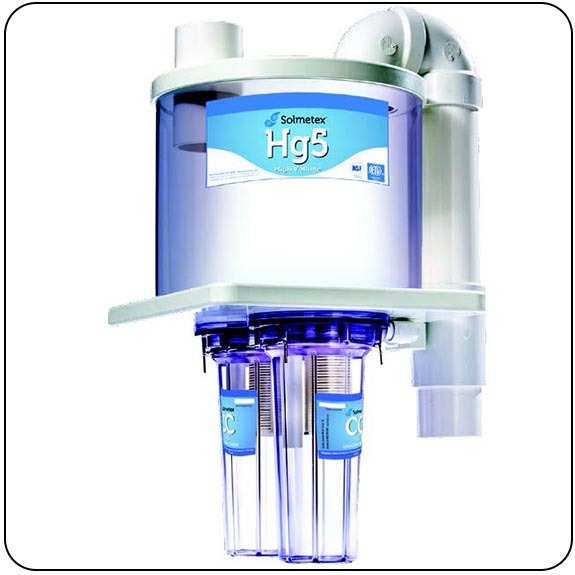 When space is at a premium, the Hg5 Mini fits into lab cabinets, and services up to four chairs. Dimensions: 21 1/2"h x 11"w x 8"d. - 3/4" inlet and outlet piping - Fernco couplers - Floor / Wall mount bracket - Services 1 - 4 chairs. 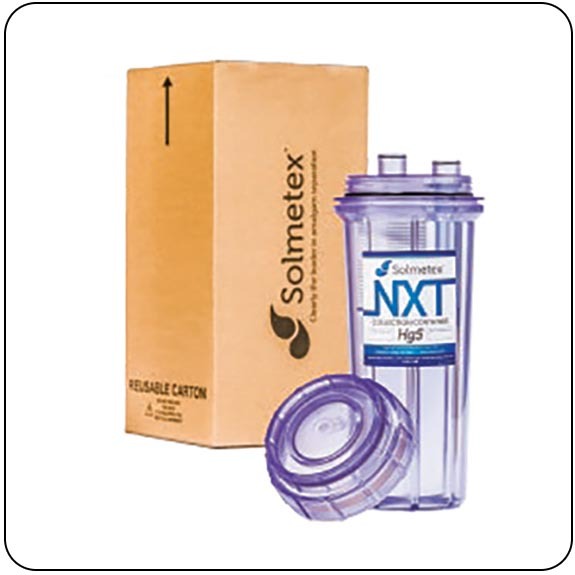 Compact, economical and virtually maintenance free!” The SolmeteX Hg5 Amalgam Separator services up to ten chairs. 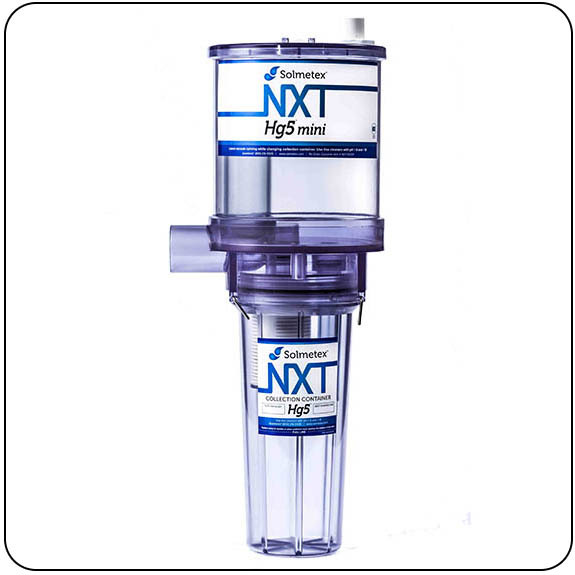 Compact, economical and virtually maintenance free!” The SolmeteX Hg5-HV Amalgam Separator services up to twenty chairs. Dimensions: 18"h x 28"w x 22 1/2"d - 3" inlet and outlet piping - Fernco couplers - Wall mount bracket provided - Services 11 - 20 chairs.